"ESPN is about sports." It is "not a political organization." That's what ESPN president John Skipper said in a memo to staffers on Friday afternoon, after a bruising week for the sports network. 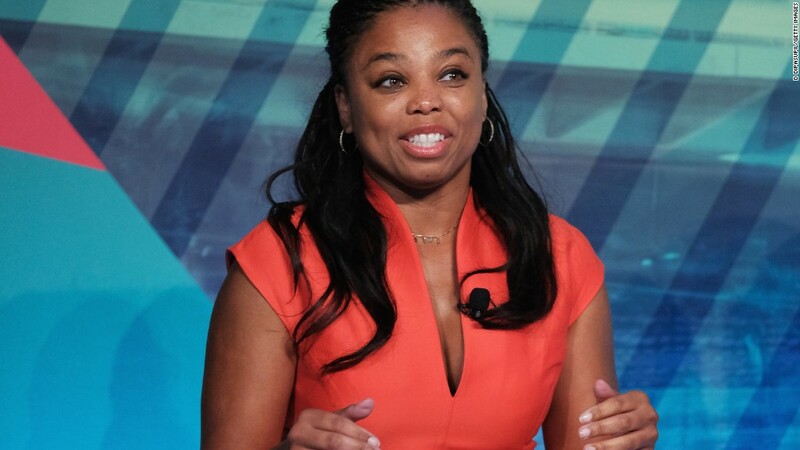 Skipper's memo came in the wake of anchor Jemele Hill's calling President Trump a "white supremacist" in a series of tweets on Monday that triggered days of news coverage, criticism, and a presidential broadside against the network. "We have issues of significant debate in our country at this time," Skipper acknowledged. Yes, he said, ESPN upholds certain values about tolerance and diversity. Yes, ESPN's employees are also citizens who have opinions about politics. But the network has social media policies for good reasons, Skipper said, because personal comments "will reflect on ESPN." "In light of recent events," he said, "we need to remind ourselves that we are a journalistic organization and that we should not do anything that undermines that position." Skipper did not mention Trump's criticism, but his message was clear: Let's cover the news -- sports and "the issues that intersect with sports" -- and stop being the news. "Let's not let the public narrative re-write who we are or what we stand for," he said. "Let's not be divided in that pursuit. I will need your support if we are to succeed." I want to remind everyone about fundamental principles at ESPN. ESPN is about sports. Last year, we broadcast over 16,000 sports events. We show highlights and report scores and tell stories and break down plays. And we talk about sports all day every day. Of course, sports is intertwined with society and culture, so "sticking to sports" is not so simple. When athletes engage on issues or when protests happen in games, we cover, report and comment on that. We are, among other things, the largest, most accomplished and highly resourced sports news organization. We take great pride in our news organization. We have programs on which we discuss and even debate sports, as well as the issues that intersect with sports. Fans themselves love to debate and discuss sports. ESPN is not a political organization. Where sports and politics intersect, no one is told what view they must express. At the same time, ESPN has values. We are committed to inclusion and an environment of tolerance where everyone in a diverse work force has the equal opportunity to succeed. We consider this human, not political. Consequently, we insist that no one be denigrated for who they are including their gender, ethnicity, religious beliefs or sexual identity. We have issues of significant debate in our country at this time. Our employees are citizens and appropriately want to participate in the public discussion. That can create a conflict for our public facing talent between their work and their personal points of view. Given this reality, we have social media policies which require people to understand that social platforms are public and their comments on them will reflect on ESPN. At a minimum, comments should not be inflammatory or personal. We had a violation of those standards in recent days and our handling of this is a private matter. As always, in each circumstance we look to do what is best for our business. In light of recent events, we need to remind ourselves that we are a journalistic organization and that we should not do anything that undermines that position. We also know that ESPN is a special place and that our success is based on you and your colleagues' work. Let's not let the public narrative re-write who we are or what we stand for. Let's not be divided in that pursuit. I will need your support if we are to succeed.